The Gilded Age was an era with an extreme gap between the richest and poorest citizens. Among the poor were factory workers and servants, and those of gold status were business moguls, industrialists, and heirs. One of the most established and powerful names in the late 1800s and early 1900s was Astor. Astor is a name synonymous with luxury, money, and grandeur. Elite societies always need a queen, and Caroline Astor was certainly fit for a throne. While her royal seat was located at Beechwood, another chair of opulence awaited her daughter, Emily, on Ochre Point at a beautiful mansion near the cliffs of Newport, Rhode Island. 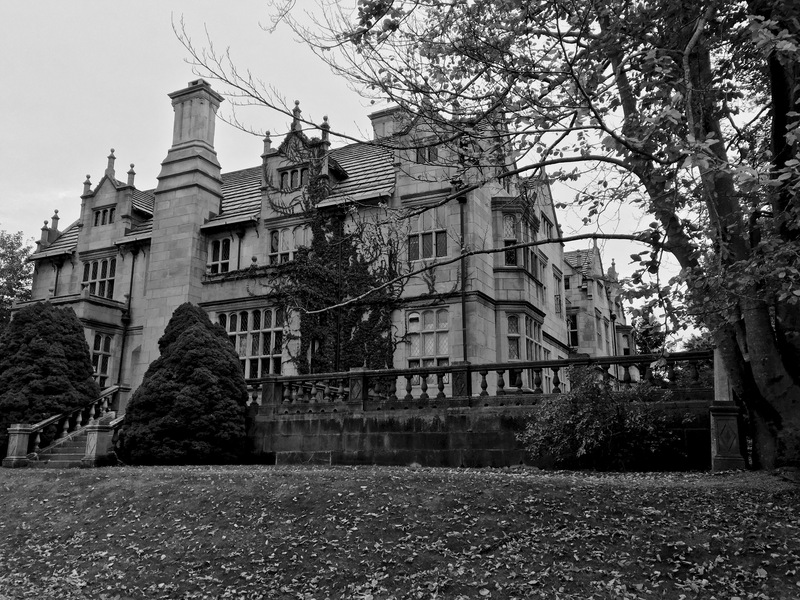 Wakehurst, the summer home of James and Emily Van Alen, was erected near the rocky shores in 1887 not far from Emily’s socialite mother, Caroline, and powerful father, William B. Astor. 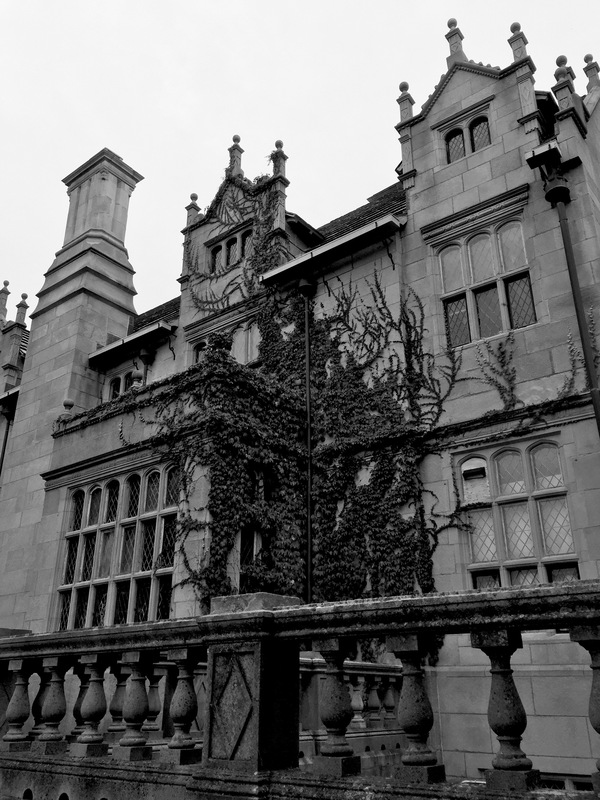 Van Alen wanted an elegant home unrivaled in beauty and architectural splendor, thus employing architect Charles Eamer Kempe to duplicate Wakehurst Place, a stunning mansion in Sussex, England. Dudley Newton was left in charge of the Aquidneck Island site. Set back from Ochre Point, spectators eyes were met with lush gardens and beautiful Beech Trees. To the left of the front facade was a quiet garden drizzled with rosebushes and evergreens. 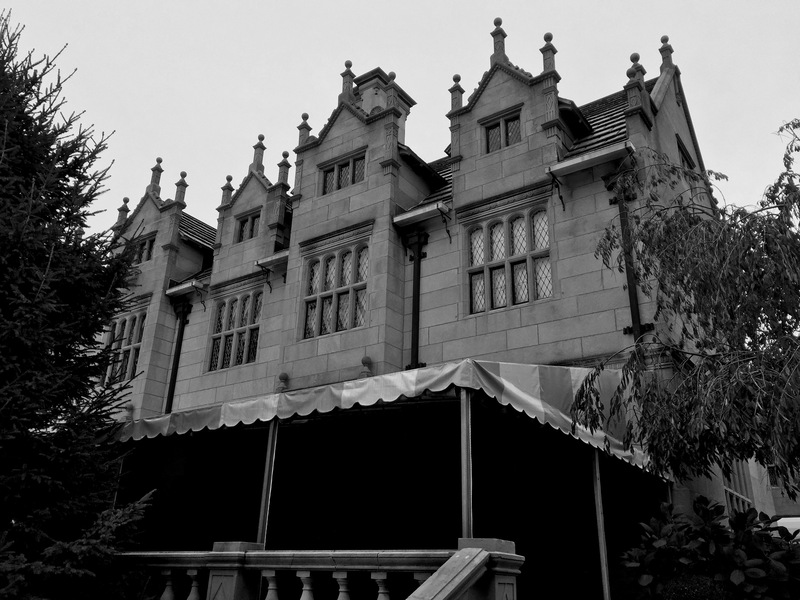 Wakehurst commanded attention with its steep rooflines and gables. Dormers interrupt an exquisitely designed roof and showcase windows with stunning panes of glass. Like many structures from the era of the original Wakehurst Place, Wakehurst in Rhode Island featured windows with diamond panes. In the same way the design of the house was plucked out of Europe, as were some rooms. The study, originally belonging in the townhouse of London resident Lady Firzherberts, relocated to the interior of the newly constructed Van Alen home in New England. James Van Alen was no fraud when it came to taste. He did not use replications, or approach design in an uneducated fashion. 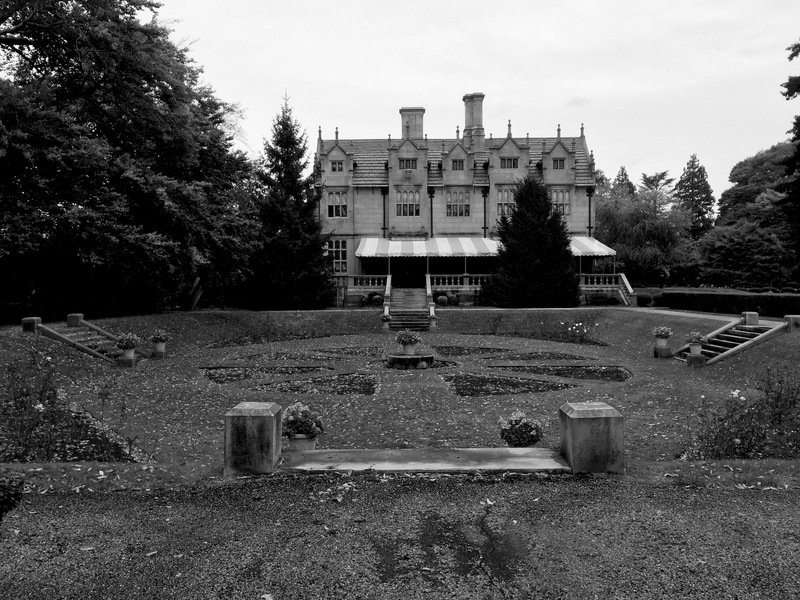 Wakehurst was to be lavishly dressed with antique furnishings that were period appropriate. He discovered these pieces when fishing through endless shops in Europe. In Wakehurst’s later years, she was taken over by James Henry, James and Emily Van Alen’s grandson. 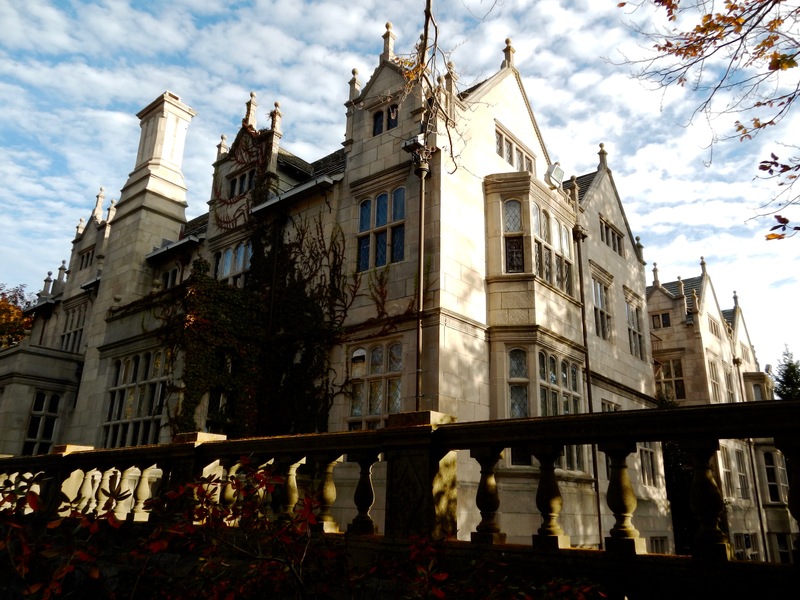 After serving as the Newport Residence of the Van Alen family for many years, she was finally repurposed as the student center and faculty office of Salve Regina University in 1972. Craven, Wayne. Gilded Mansions: Grand Architecture and High Society. New York: W.W. Norton, 2009. Print. 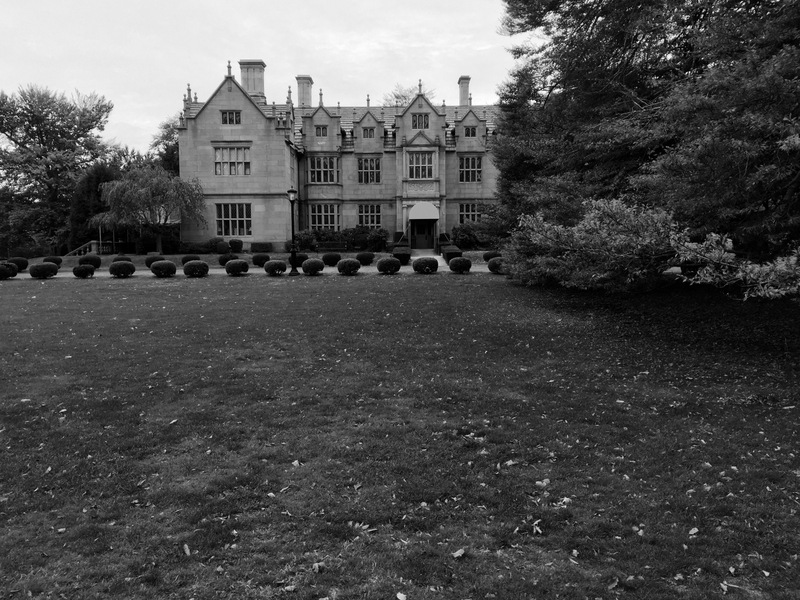 “Wakehurst.” Salve Regina University | Learn. Live. Make a Difference. N.p., n.d. Web. 07 Mar. 2016.